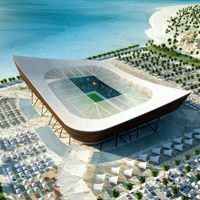 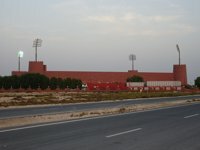 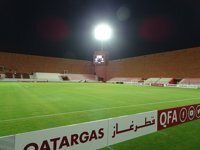 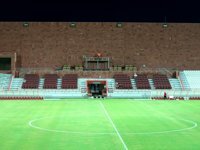 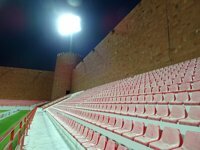 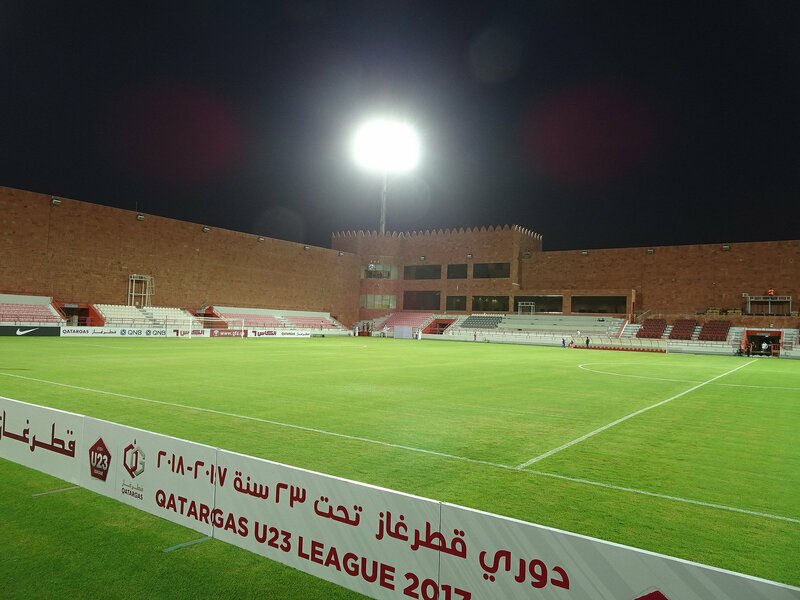 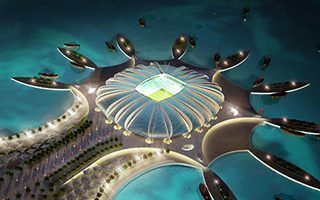 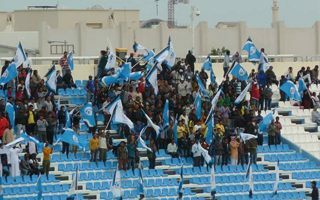 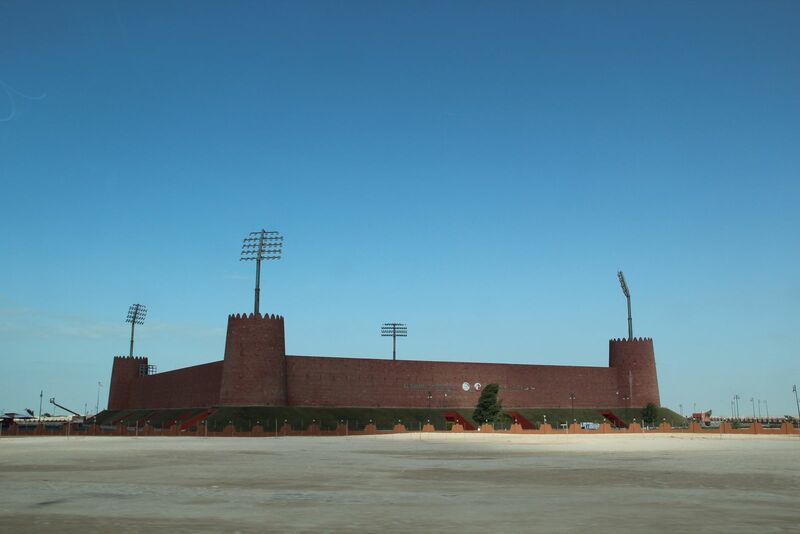 Construction of the new football stadium in Qatar's northernmost town of Al Shamal began in 2008. 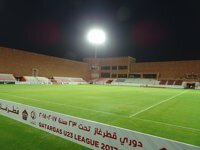 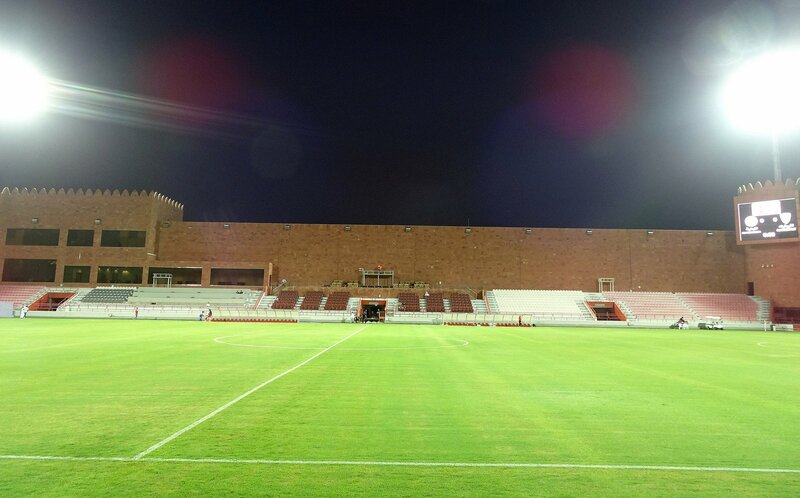 With a capacity of 5,000 people, the ground was opened in 2011. 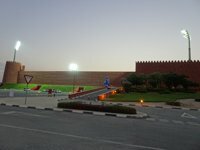 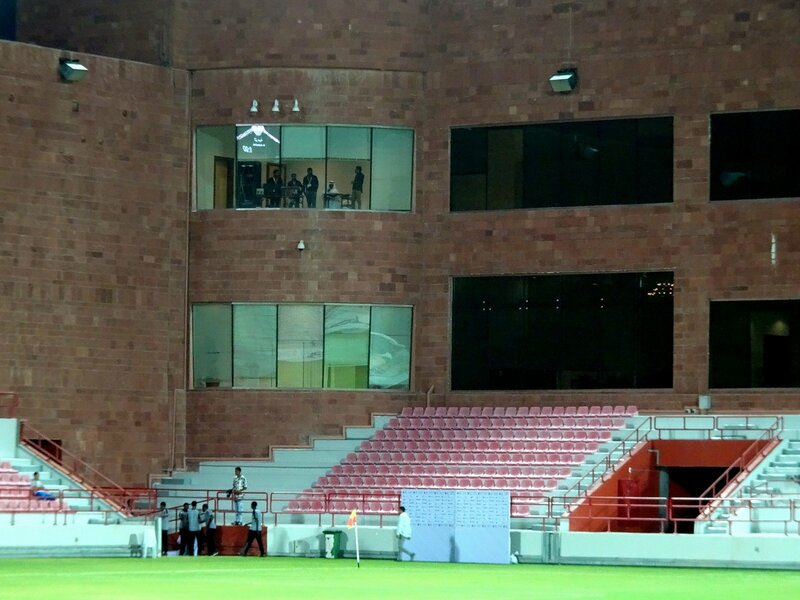 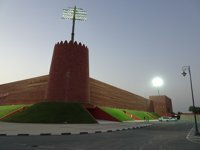 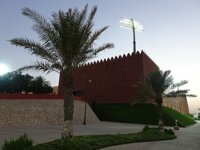 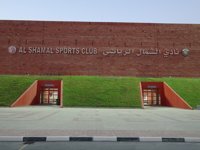 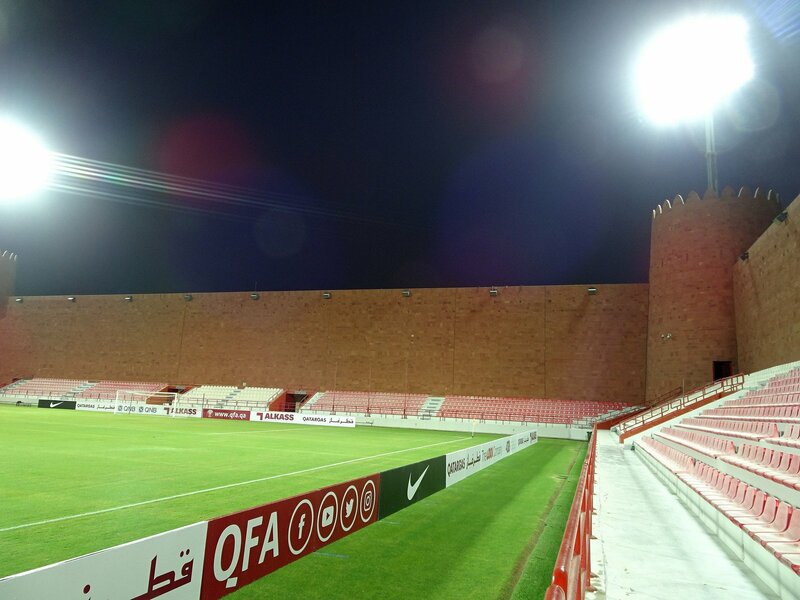 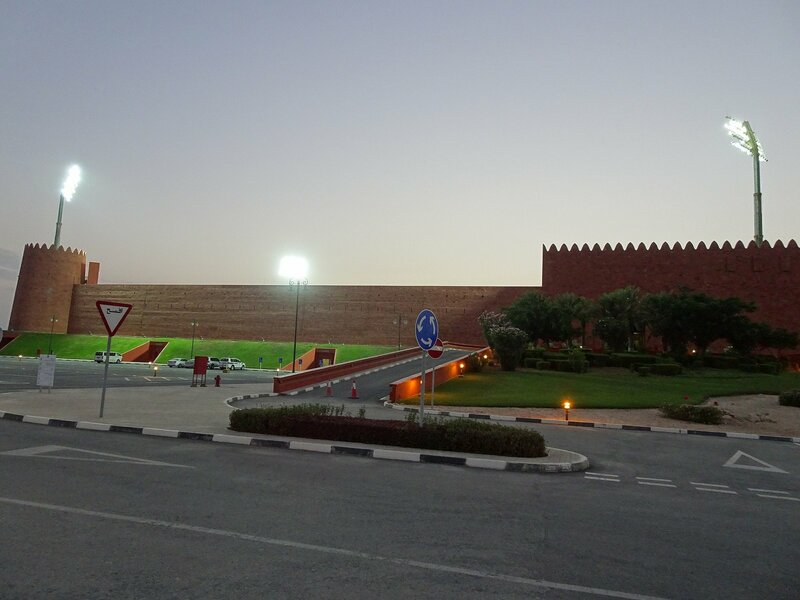 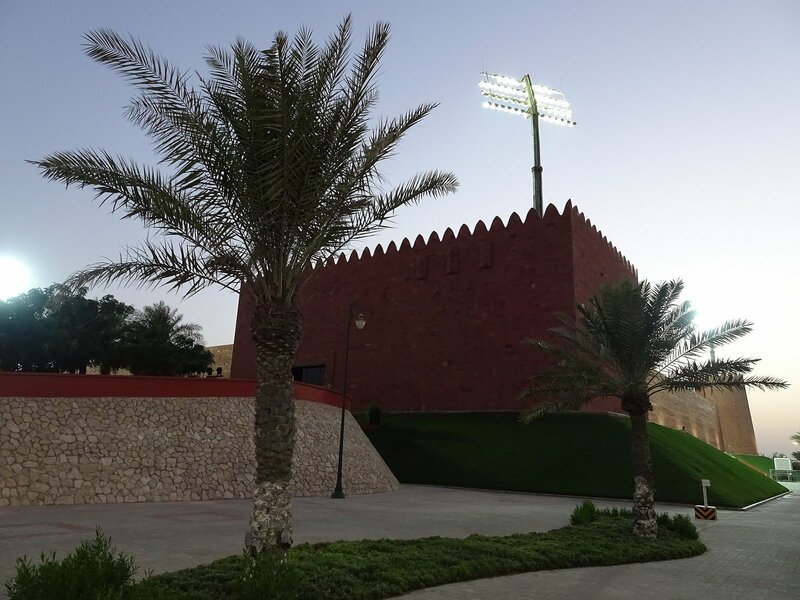 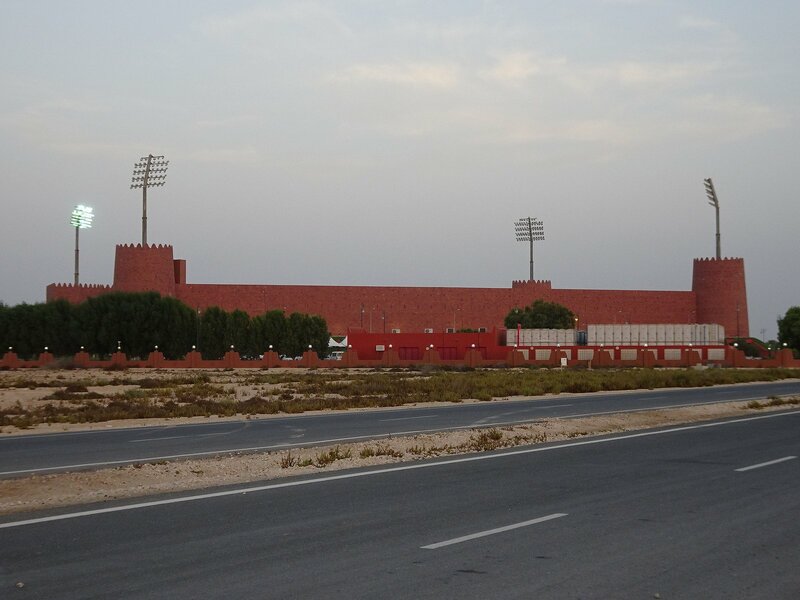 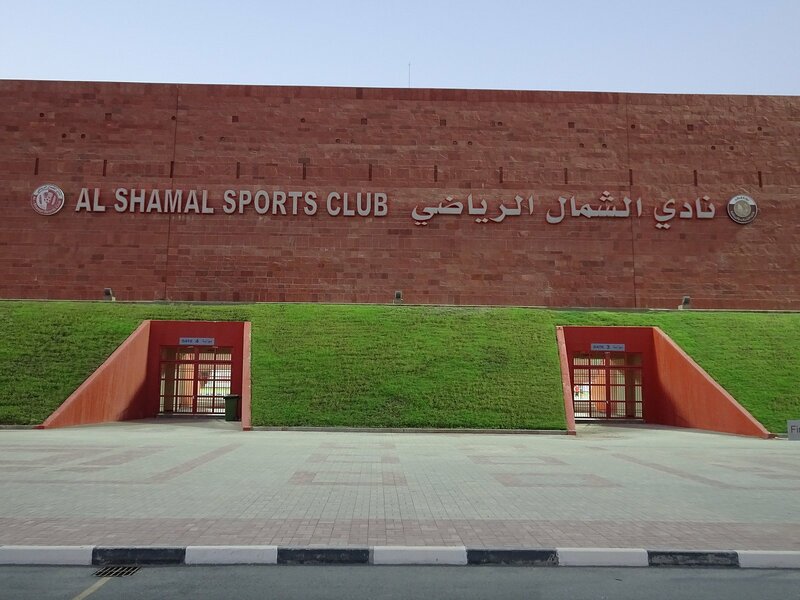 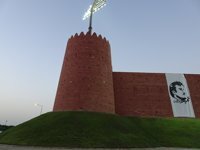 Along with it two side pitches and club offices of the multi-section side Al Shamal SC. 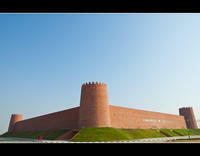 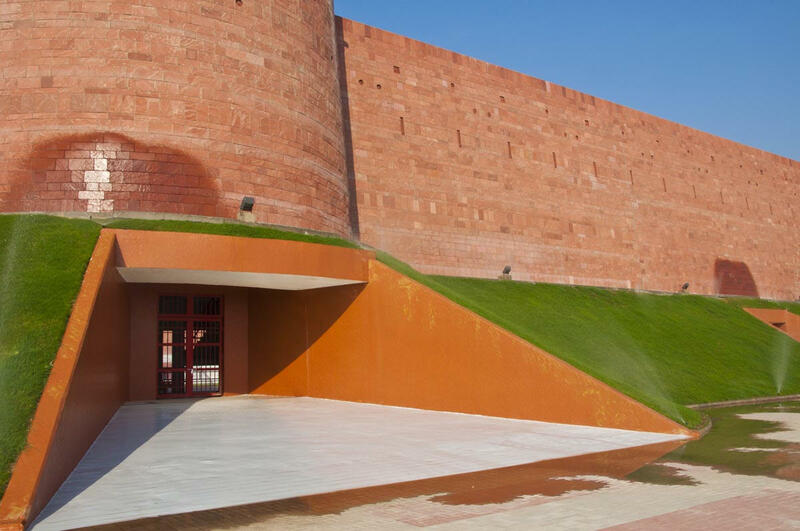 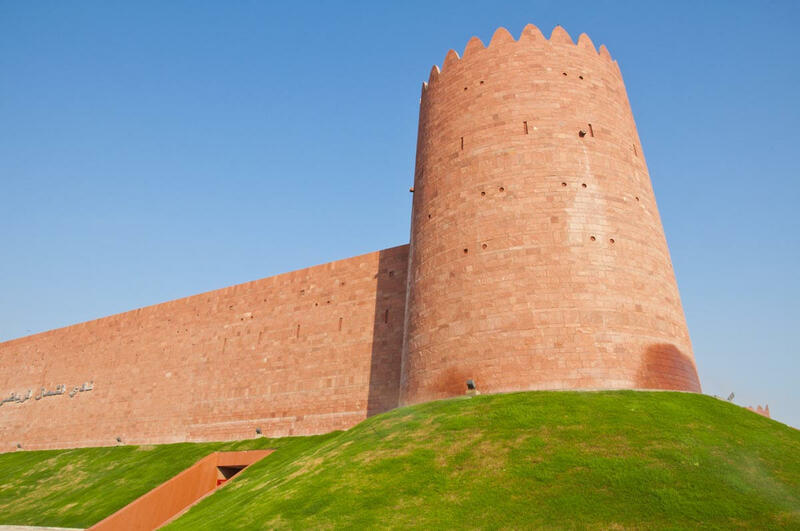 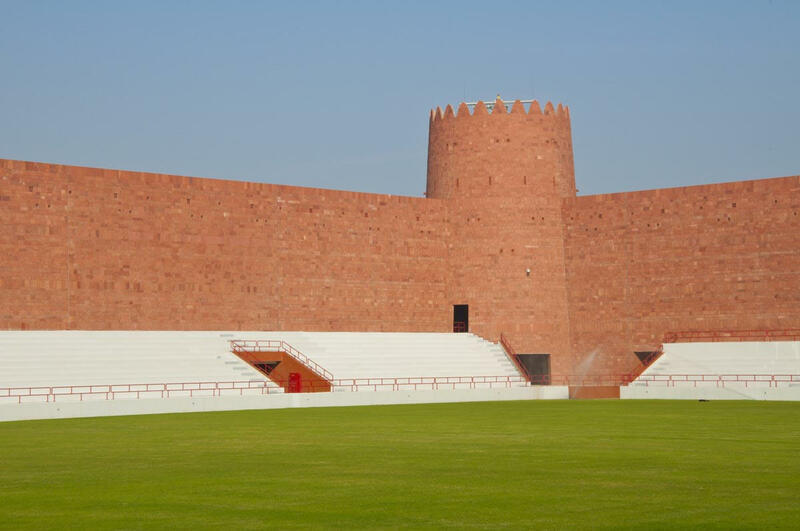 Its unique feature is the architecture that resembles – very literally – the local monument, Al Zubara Fort. 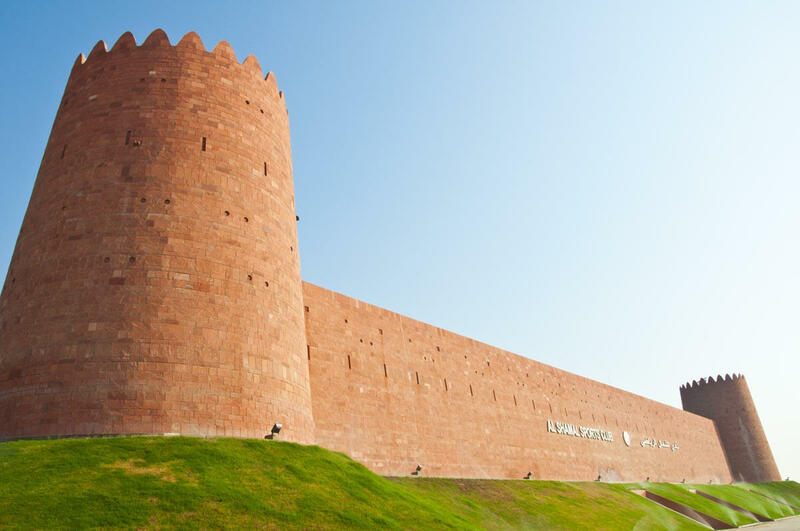 Tall stone walls and four towers in each corner (also mimicking the fort is their shaped – three are circular and one rectangular) surround the stands. Each of the towers hides a telescopic floodlight mast.